Last week the Independent National Electoral Commission (INEC) disclosed that it has got over 200 cases hanging on its neck all arising from the just concluded primary election of the political parties. The chairman of the electoral umpire, Mahmud Yakubu made the revelation in an address while assuring that the body would conduct free, fair and credible elections come 2019. This no doubt is mouthful judging from the humongous responsibilities it is expected to discharge in terms of conducting elections. The mounting court cases are definitely a reflection of the perceptions and attitudes of our politicians in relation to the practice of democracy. It is certainly a distraction to the electoral body with the attendant consequences of pressure occasioned by timeline and inadequate resources. We are aware that most of the court actions originated from politicians who have axe to grind either against their parties and or against fellow candidates and in most cases INEC is joined as a co-respondent. Sometimes the cases are directly against INEC. However, it is looked at all amounts to a poor reflection of our practice of democratic principles. There is no gain repeating the fact that our democracy as at present is still riddled with a lot of corrupt practices at virtually every level. There is so much scheming or manipulations among the political class to edge out perceived opponents or in the wilful or outright violation of electoral rules. Our politicians are caught indulging in sharp practices or cutting corners to give them an edge over others. The conduct of the parties themselves and their officials leaves much to be desired. While we perceive the parties as necessary partners to strengthen our democratic principles we wish to express our reservations and great disappointments that they have in many ways and in no small measures aided the malpractices and misconducts that gave birth to some of these unwarranted court actions. There is abundance of reports of corrupt practices among party officials who line their pockets with gratifications in support of one candidate against another. The reported case as chronicled in some national papers whereby the candidate who won the governorship primary election in Imo State under the platform of the Social Democratic Party (SDP) is substituted by another candidate who failed his guber election under the All Progressives Grand Alliance (APGA), was never a member of the party nor did he run for the election is a clear injustice which will usually attract court action. There are also related or similar cases. Still on Imo APGA, we have the report of where the party officials collected sums from the over 19 governorship aspirants and in flagrant disobedience of its own guidelines on primary election failed to hold a credible primary ending up giving the ticket to a candidate who was less than a month old in the party. 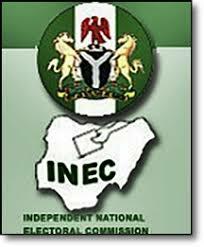 The affected candidates have taken actions jointly and severally against the culprits and joining INEC understandably. Rivers State is also replete with related experiences where by some god fathers called the shots against perceived opponents which not only attracted court actions but also tearing the parties apart. We notice that the conduct of the party officials does not in any way show their enthusiasm to conduct elections but only to satisfy their personal aggrandisement. Newswriter notes with concern that our politicians are the bane of our democracy and are yet to show that any lessons have been learnt from the previous experiences that have short changed us. To stem further electoral malfeasance in the future, we would advise that the electoral umpire and the parties work out and enshrine in the law the idea of throwing up candidates through such credible processes of intra party debate. This will not only enhance the quality of our democracy but eliminate the practice of money politics which gives power to the highest bidder. A clear benefit is reduction in court suits.